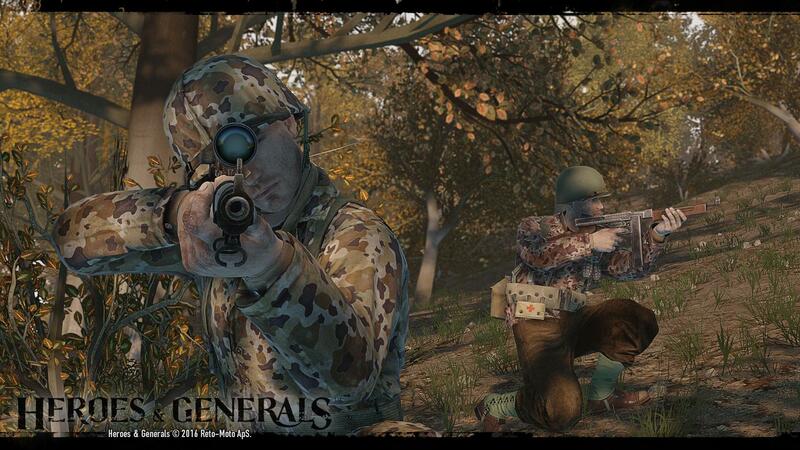 Heroes & Generals is a free-to-play cross-platforms MMO war game, developed by Reto-Moto, with totally different multiple game modes, which mixes different gameplays incorporating an action-packed FPS part with a RTS one. You can play the game as the hero on the battlefield, the officer making the tactical decisions to win the battle, the general command devising the grand strategy. The game let you choose to join the US or the German faction. Once you have chosen a side, your game account will be locked to that faction for the remainder of the war. When the war has been concluded and one faction stands victorious, a new war will begin. You can then choose to remain on the same faction, or switch to the other one. The FPS part of the game is in all its aspects a full blown First Person Shooter, complete with intense infantry, vehicle and airplane combat in a wide variety of modes and missions. Here players fight each other on the ground and in the clouds. What makes this game different to most other Shooters is that every single mission fought in FPS mode will be a part of one grand war reaching all over Europe. Players progress, request for reinforcements/air strikes/etc. are fed up through the chain of command to the players playing the strategy game. The RTS part of the game lets players enjoy the strategic side of waging war, setting up defenses, planning attacks and supporting the boys on the ground as they fight their way through the enemy lines. Here you will have to devise grand plans and manage support, reinforcements and logistics. In order to deliver fun to everyone, Heroes and Generals also offers fun with Handheld apps and casual games for social networks. With these, you can easily provide valuable support to the war effort. Help decode enemy intelligence, execute bombing raids and more to support both players playing the action game and the general staff planning the grand strategies.